Funeral Services for Mr. Eddie L. Bass will be held on Tuesday, March 26, 2019 at 12:00 Noon at St. John CME Church 504 College Street, Gordon. Pastor William Horne will officiate. Interment will follow at Rose Hill Cemetery, Gordon. 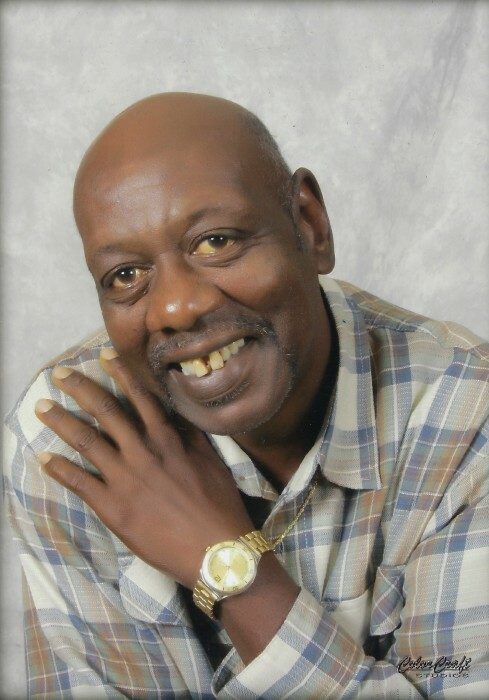 Our dearly beloved Eddie Lee Bass transitioned into eternity on Wednesday, March 20, 2019, within the confines of Navicent Healthcare Facility in Macon, Georgia. Eddie, as he was affectionately called, was born to the parentage of Mrs. Virginia Massey-Bass & Mr. Robert Lee Bass, Sr. in Tampa, Florida on November 30, 1961. Eddie’s parents and one brother, Islay Derhonde, preceded him in death. Eddie’s formative years were spent in Tampa, Florida, where he graduated from Chamberlain High School. In 1980, he relocated to Gordon, Georgia and spent the past 39 years in Gordon, surrounded by his loving family and friends. On June 18, 1994, Eddie was United Holy Matrimony to Emmie Jean Jackson-Bass; “and the two shall become one so then they are no longer two, but one…” He affiliated himself with the St. John CME Church, Gordon, Georgia and he and his family attended services until his health failed. Eddie leaves to cherish his memories a devoted wife, Mrs. Emmie Jean Bass, Gordon, Georgia; two daughters, Chimere (Donte) Patterson, Macon, Georgia and Sherita Jackson, Gordon, Georgia; one son,. Jordy (Christi) Jackson, Gordon, Georgia; three Sisters, Carolyn Michele Bass, and Carrie D. Dixon, Tampa Florida; one brother, Robert Lee Bass Jr., Tampa, Florida; father-in-law, Mr. Henry Jackson, Fredericksburg, Virginia; four aunts, Gloria Massey, Gordon, Georgia, Ada (Robert Smith, Jacksonville, Florida and Elnora (Tony) Gadson, Savannah, Georgia, and Carolyn (Demory) Williams, Hinesville, Georgia; three uncles, Pastor James (Alice) Massey Jr., and Frank Massey, Macon, Georgia and Pastor Oscar Massey of Tallahassee, Florida; ten grandchildren, Rasheda, Javon, Carlton, Deasia, Arionna, Dante Jr., Brooklyn, Madison, Jada, Jameria; and Jacey; one great-grandson four sisters-in-law, Sandra Jean (Robert) Brantley, Regina Ingram, Lula Whipple, and Marie Jackson, all of Gordon, Georgia; three brothers-in-law, Carnell (Johnnie Mae) Jackson, Gordon, Georgia, Carl (Mary) Jackson, Haddock, Georgia, and Henry L (Minnie) Jackson, Newark, NJ; nieces, nephews, and a host of other relatives and friends. Family will receive friends at the family residence at 117 Olive Street, Gordon. Viewing will be held on Monday, March 25, 2019 from 11-8 PM at the funeral home. Wilkinson County Memorial Chapel has charge of arrangements.